In 1970, Sara Ehrenreich boards a small plane and returns to New York City with much fanfare; she will be featured in Life magazine. She has not left Ta'un'uu–the South Seas island upon which she and her husband, Philip, were marooned during a storm–in more than thirty years. Sara doesn’t know that man has landed on the moon. She has never seen a ballpoint pen. Her body is covered, head to toe, in tattoos. Flashback: it’s 1918 and Sara, a shop girl and aspiring artist, meets Philip, a wealthy member of the avant-garde elite. The two fall in love, marry, and collaborate to make art, surrounded by socialites and revolutionaries–until the Depression cripples not just Sara and Philip, but most of their patrons. When Philip is offered a job gathering masks from the South Seas, they jump at a chance to escape America’s sorrows, traveling to Ta’un’uu for what they think will be a week’s stay. The rest is history–a history Sara records on her skin through the traditional tattoos that become her masterpiece and provide an accounting of her days. 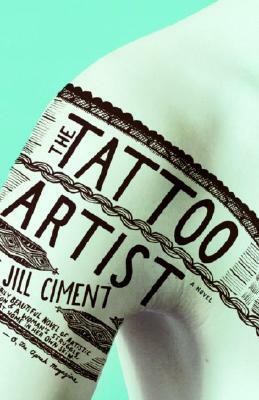 Narrated in vivid and starkly moving prose, The Tattoo Artist reminds us of the unforeseeable forces that shape each human life. Jill Ciment was born in Montreal, Canada. Her books include two novels, Teeth of the Dog and The Law of Falling Bodies; a collection of short stories, Small Claims; and a memoir, Half a Life. She has been awarded two New York State Foundation for the Arts Fellowships and a National Endowment for the Arts Fellowship. Ciment is a professor of English at the University of Florida. She lives in Gainesville, Florida.